This Symposium will explore the ways in which China’s impact on the world is evolving as Chinese companies and investors continue to shape global supply chains and local economies. We seek diverse perspectives from NGOs, businesses, and academia to provide nuanced analyses of various topics, including but not limited to: what the Belt and Road Initiative actually is; China’s changing environmental governance and policies; climate considerations in infrastructure development; the implications of the Belt and Road for biodiversity and ecosystems, among others. Register here for the event now! Please register here to attend the conference. 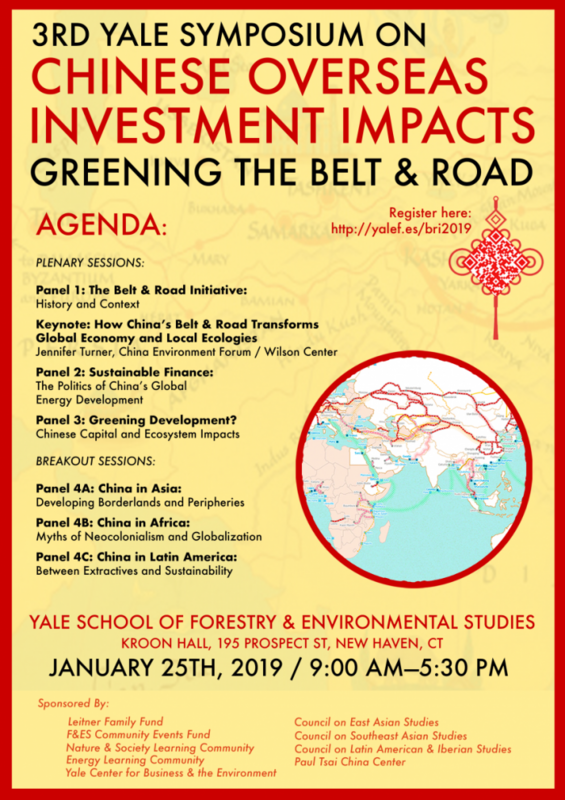 The 3rd Yale Symposium on Chinese Overseas Investment Impacts: Greening the Belt and Road is looking for volunteers! If you are interested in volunteering with us, please sign up here and we will contact you. Find more information here. Please email china-symposium-fes@yale.edu if you have any questions.